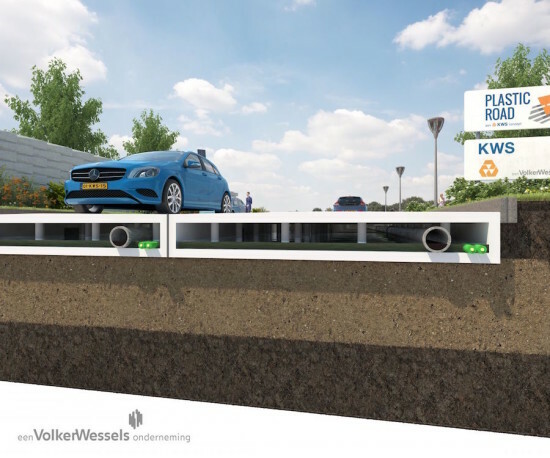 Always an early adopter of innovative sustainability methods, the city of Rotterdam is considering piloting roads fabricated from recycled plastic. 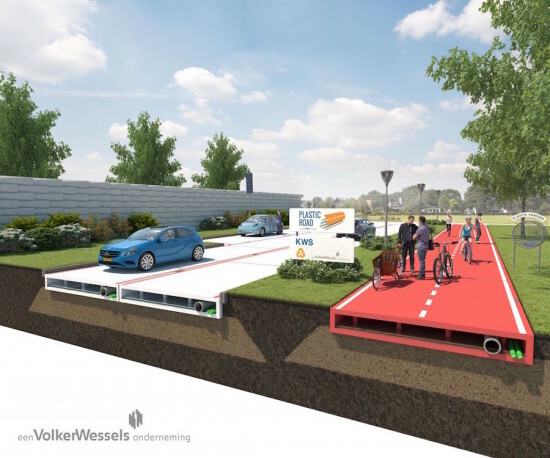 The creators of PlasticRoad wooed the city council with their proposal of an all-plastic road that is quicker to lay and requires less maintenance than asphalt. Construction firm VolkerWessels also claims that the material can withstand greater temperature extremes—from -40 to 176 fahrenheit—can be laid in weeks rather than months, and lasts three times as long. The Netherlands-headquartered conglomerate points out that asphalt generates 3.2 billion pounds of carbon emissions globally on an annual basis, accounting for two percent of all road transportation emissions. Lighter roads that exert less pressure on the ground are a godsend for the low-lying Netherlands, one eighth of which is already submerged below sea level. 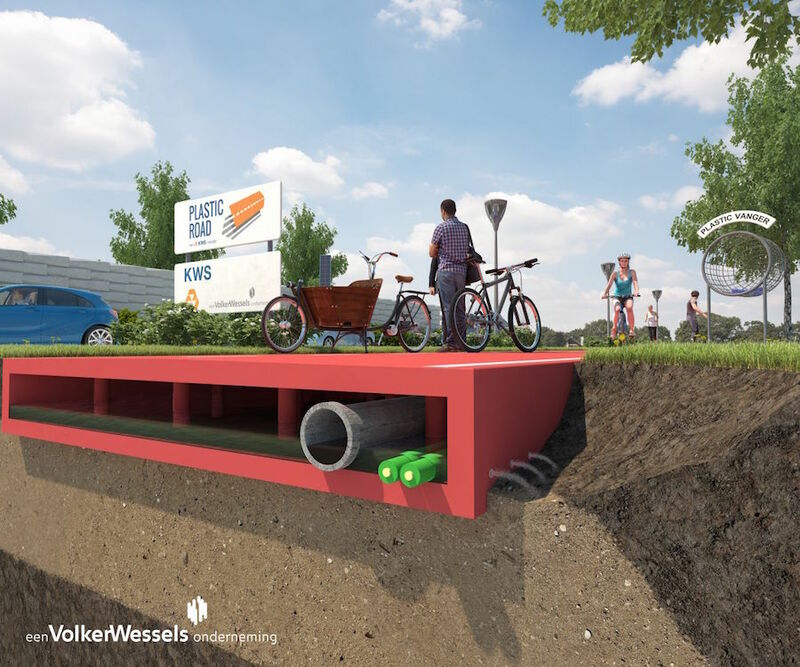 The hollow design of PlasticRoads makes it easy to install cables and utility pipelines and even channel rainwater. Sections of road can be prefabricated in a factory, reducing on-site construction and ensuing congestion caused by roadworks. The initiative should perhaps be most lauded for its potentially massive-scale, industrial use of waste materials. And while plastic bottles are already widely recycled and repurposed into garden furniture, compost bins, and more plastic bottles, the questions becomes: can used up PlasticRoads be recycled?